Hatchling: 7 - 9 in. 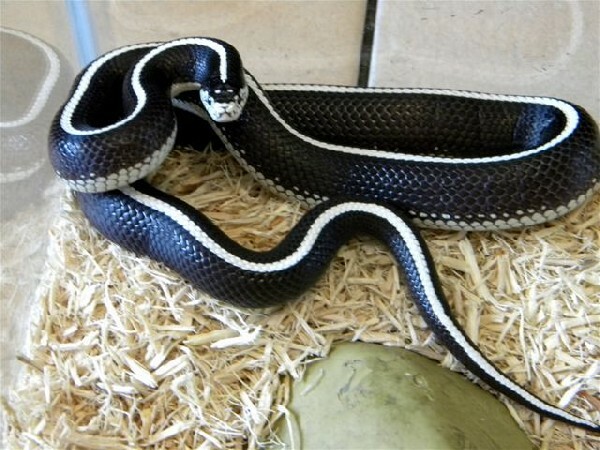 This animal can only be described as the most variable form of Common Kingsnake in it's present classification. It is ringed, striped and any combination thereof. 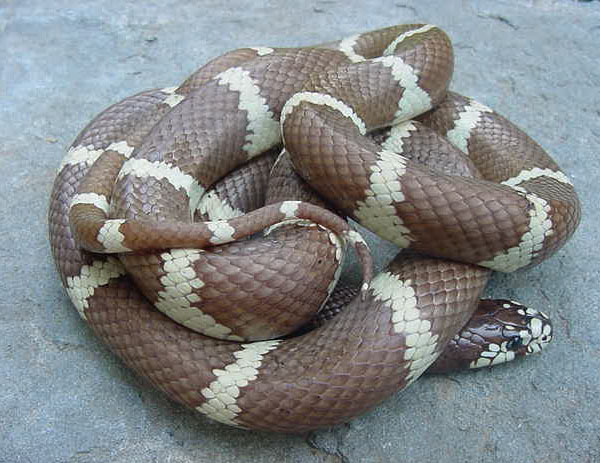 Spotting in conjunction with the rings and/or striping is also common. There are several forms that were once separated that are presently not recognized. Examples of this are the Nitida(Baja striped), Conjucta (Baja banded), Boylii (typical) and Yumensis (Arizona ringed). All shades of black, brown and chocolate patterns are known with a ground color ranging for brilliant white to nearly coal black. 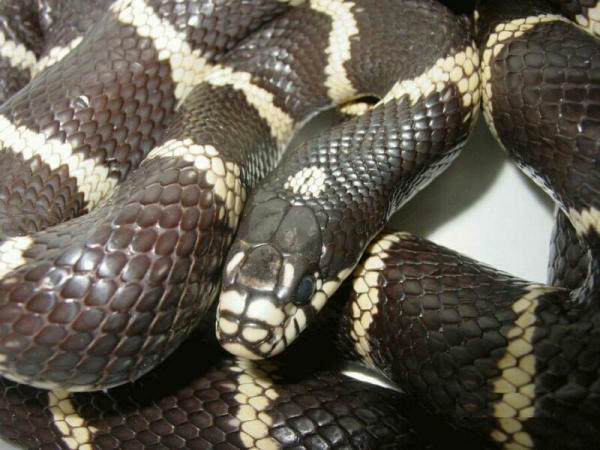 Dark on top with a light area to the center rear of head, snout and lower half of head paler. Two basic pattern types, ringed and striped. Any combination thereof is possible. In captivity these animals do excellent on a diet of lab. raised mice. 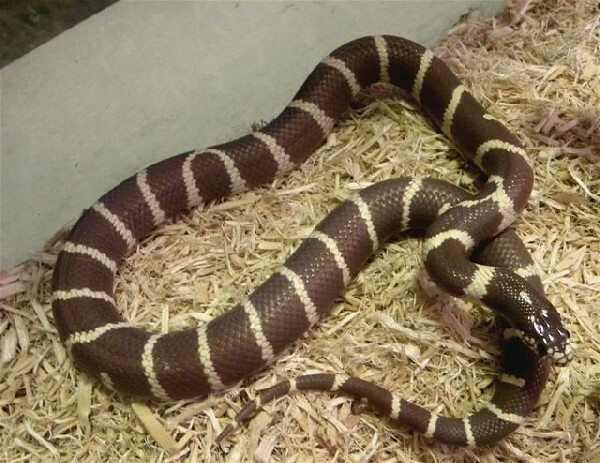 Juveniles normally feed after their first shed and continue to be aggressive feeders throughout their life. 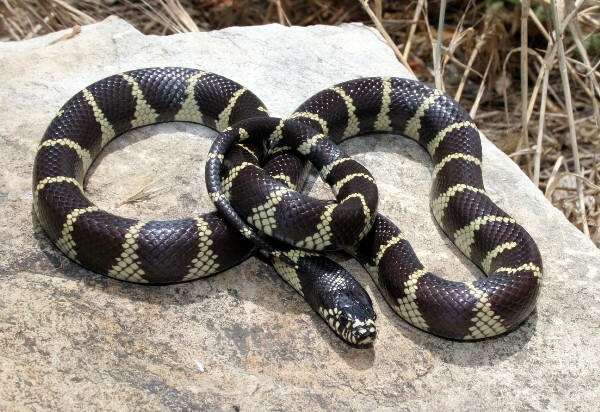 Wild specimens have been known to feed on all manners of prey and have even taken fish and other reptiles when available and their ability to consume rattlesnakes is well known. They mainly feed on rodents when given the opportunity. This is a species that does well in captivity. 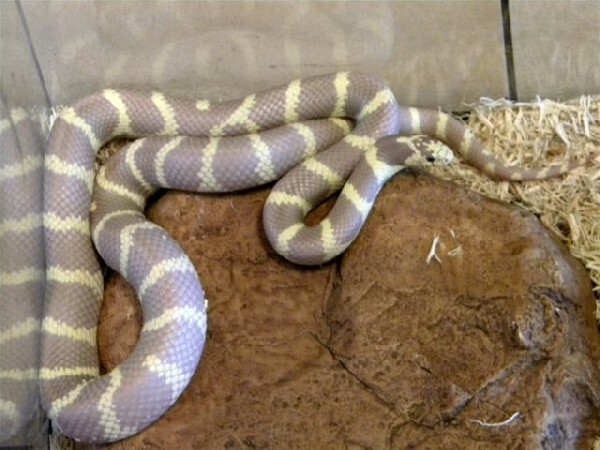 At times it will signal agitation by tail rattling and display the normal getulas reaction to feeding etc. 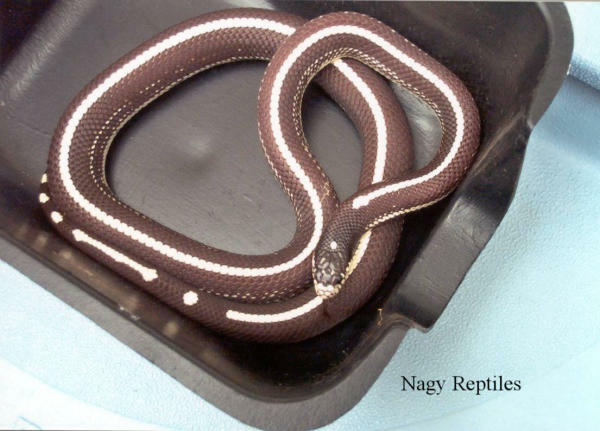 They have become probably the second most kept snake in captivity and are rivaled only by the corn snake for different colors, variations and patterns. 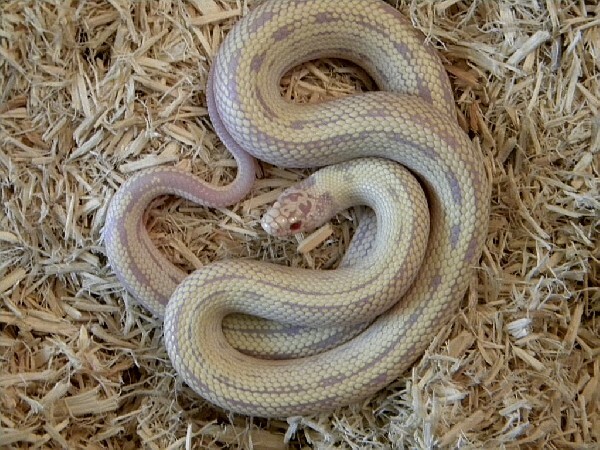 WARNING : be sure and house this animal separately and watch closely during breeding season as they do feed on other snakes. Breeding in captivity is achieved in the same manner as with all colubrids using the following as a guideline. Towards the end of October cease feeding totally, allowing at least 2 -3 weeks at normal temperature for clearing of the gut. Then gradually reduce the ambient temperature inside the cage to the lower 50's and maintain for a period of 3 months. Be sure and provide clean water and systematically check animals for general condition and welfare during this period. After brumation and the animals are brought back up to optimum temperature of 78 - 84 degrees, feeding should resume for approx. three weeks and the pair should be placed together under supervision for short periods of time until copulation can be confirmed. An egg laying chamber partially filled with damp vermiculite or sphagnum moss is helpful. Eggs should be removed immediately after laying and placed in damp vermiculite for the incubation period of 59 - 64 days at temperatures of 80 - 83 degrees.